EXCEPTIONALLY WELL MAINTAINED, Move-in Ready, 3Bdrm/2Bth Tri-Level Home in CONVENIENT, Country Meadows Estates! 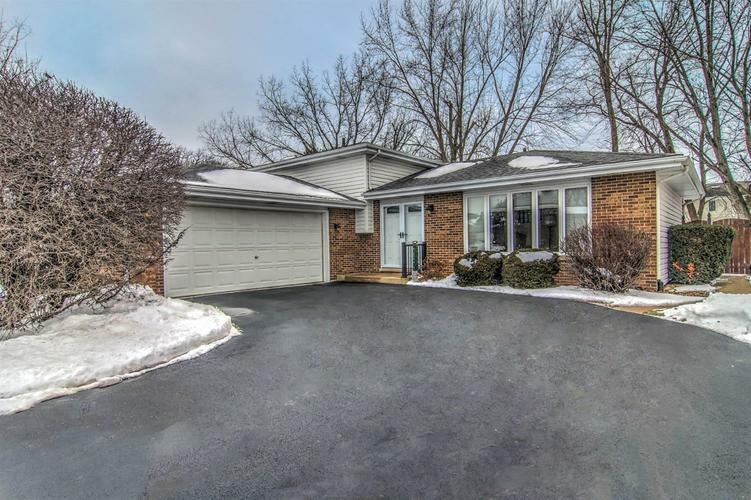 Great Curb Appeal w/ NEWER, Double Entry Doors and UPDATED Exterior Lighting WELCOMES YOU into Foyer w/ Tile Flrng and View of L-Shaped Living/Dining Rm. Foyer walks back to UPDATED KITCHEN w/ QUARTZ Cntrtps, Tile Backsplash, & Brushed Bronze Hardware/Lighting. Glass Slider leads to HUGE, Privacy Fenced Backyard w/ Pool and Patio. Eat-in Area looks down to COZY, Lower Level Family Rm w/ FIREPLACE! Upper Level has 3 Nice-Size Bdrms, all w/ Ceiling Fans and Frieze Carpeting. Upper Lvl Bthrm is UPDATED w/ QUALITY, QUARTZ-TOP VANITY and Brushed Nickel Lighting. Lower Level offers Additional Bthrm and LARGE Storage/Laundry Area, leading to Attchd, 2.5 C Garage. Maintenance-free Brick and Vinyl-sided Exterior. Architectural Shingled Roof, Hot Water Heater, & A/C, All replaced within approximately the past 10yrs. BRAND NEW Furnace (2018). METICULOUS INSIDE & OUT and READY for YOU! Directions:US-30 to Cline Ave, North to James Witten Dr, West to Property. Listing provided courtesy of T.J. Boyle Real Estate, Inc..